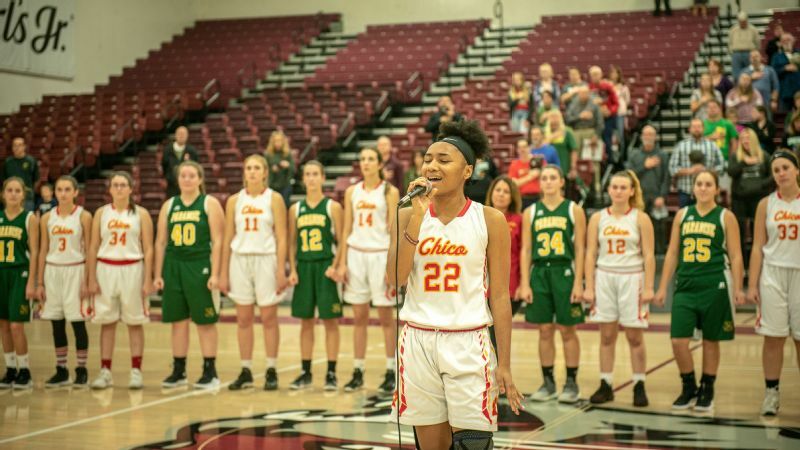 The Paradise girls' basketball team stands together with Chico High School for the national anthem before their game on Nov. 26. 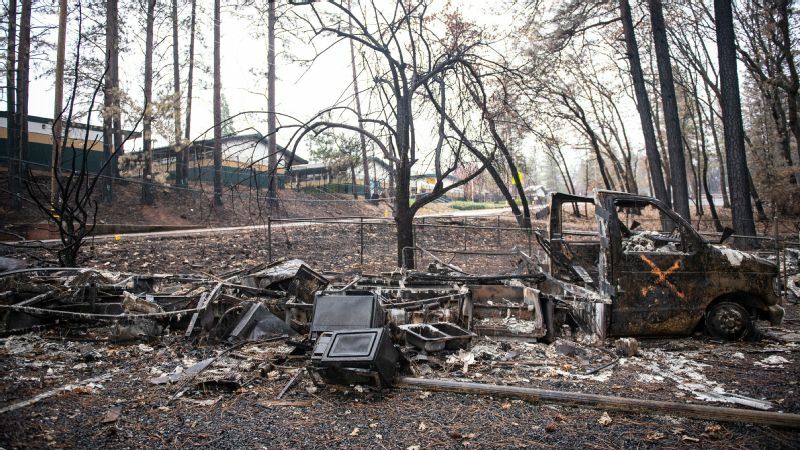 It was the first game played after the horrific Camp Fire leveled the town of Paradise. The morning of Nov. 8, a Thursday, was like any other day at Paradise High School. Students started streaming into the parking lot right around 8 a.m., excited that it was almost the weekend and that the football team had a playoff game against neighboring Red Bluff High School in two days. Everything seemed normal, except that the sky was a brilliant orange due to a wildfire that had started at Camp Creek Road along the Feather River, about 20 miles from their school. But wildfires were typical in Paradise: From June 15 to Nov. 1, there were 11 registered fires in the surrounding area of Butte County. In fact, the sky was so pretty that athletic director Anne Stearns stopped to snap a photo on her way inside. A photo of Paradise High School, taken the morning of the fire by athletic director Anne Stearns. Before students even got to their homerooms, though, the day took a drastic turn. 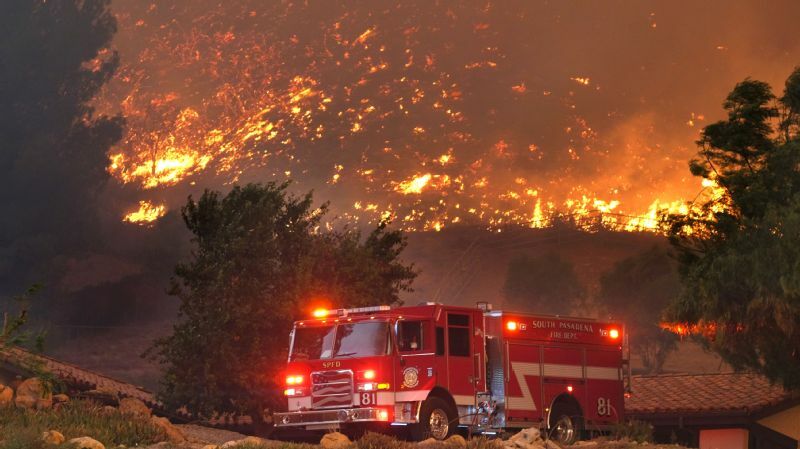 In less than 10 hours, the most destructive wildfire in California history would level the town. Somewhere between 80 and 90 percent of the nearly 1,000 students would lose their homes. 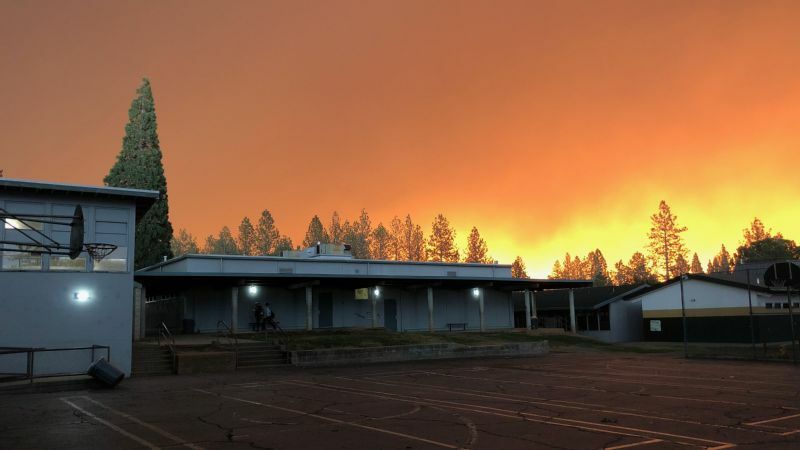 Though close to 19,000 buildings in total were destroyed by the Camp Fire -- including several adjacent to Paradise High School -- in what's being chalked up to just good luck, the school itself remained standing. And all students in the school district were evacuated safely, though the fire claimed at least 85 lives. This past Monday, students resumed classes at a satellite location at the mall in the nearby town of Chico, but they might not be able to return to Paradise High School for up to two years. It's expected that the student population will shrink considerably, as students move to surrounding towns and states. "How do you get over the fact that Paradise is the only thing we know, what we are rooted in, and suddenly it's all gone?" said Faith Brown, a senior at Paradise and co-captain of the volleyball team. Paradise High School in the background, with several structures destroyed by the Camp Fire in the foreground. 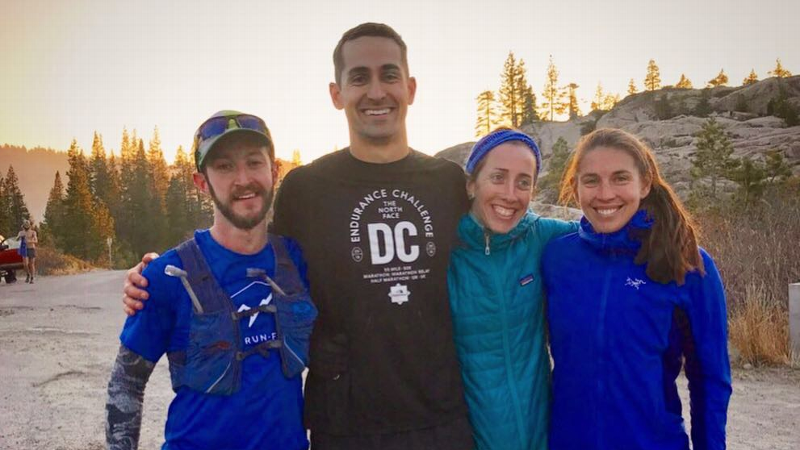 A little more than two weeks after the Camp Fire, we caught up with some of the athletes and coaches from Paradise. Though their school was left standing, a detached building that housed all the athletic equipment and sports uniforms was destroyed, in addition to several new vans. What we learned is that the small but mighty community of Paradise is showing its strength through its high school sports teams. Even with students and coaches displaced all over Butte County, taking refuge in everything from hotel rooms to trailers, the athletes are bouncing back on the court and on the field. "I think sports will save Paradise," Stearns said. "They are a way for us to show we are still a high school and that we can rally together and be a community. It's not easy, though." 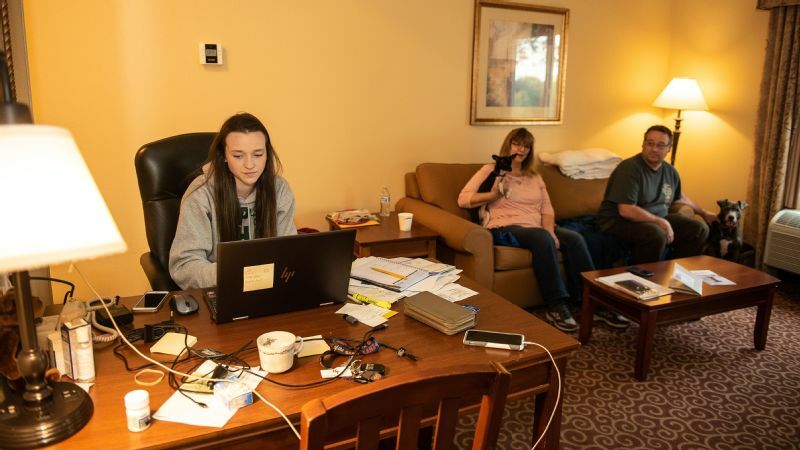 Faith Brown, a senior volleyball player at Paradise High School, continues to apply to colleges from her hotel room. What Brown remembers most about the fire was how quickly it happened. "[That morning] we heard there was a fire about 20 miles away, but that it was only 10 acres. That happens all the time in Paradise -- these little spot fires." But when Brown pulled into her parking spot at school, her phone was going off, and she found out that her neighborhood was being evacuated. "I didn't even put my car in park, I just started driving home. I called my dad and he told me to go get the dogs and just wait for him at the house. We didn't know the fire was that close. We had no idea." Brown arrived home at about 8:30 a.m. -- only a half hour since she'd left -- and saw flames coming from her neighbor's house. "I got scared right about then. I was so overcome with this feeling of, 'We have to get out! We have to get out!' I put all the animals in my car, and when I got back in the car at 8:45 the flames had completely taken over my neighbor's garage." Faith Brown's destroyed home in Paradise. "When I got on the main road, there was fire on both sides and we weren't moving," said Brown, who has only had her driver's license for seven months and was all alone because her father never made it back to their house. "It was horrifying. I saw houses I had driven by for 12 years go up in flames. The roofs were caving in, and I watched the garage doors roll down because they were melting. The smoke was touching my car and it was pitch black. I had my headlights on because I couldn't see." The fire kept getting closer. "I turned the AC on and ashes started coming through the vents. I was shaking, and my hands were gripping the steering wheel. My mouth was super dry. I was trying to be positive. I was focused on getting out. I didn't want to think about what would happen if I got trapped in my car and had to start running." Brown briefly caught up with her father, Roger, in the middle of town around 2 p.m., and they tried to caravan out together, but soon their cars got separated. "I tried calling him and calling him but the calls kept failing, and it was really hard to see," she said. She sat in stop-and-go traffic for the next 90 minutes, until she arrived at her father's office in Chico -- their meeting spot 20 miles down the hill and below the fire line. She had been worried about her dad and felt a huge rush of relief when she finally saw him again. "I knew how severe it was, but I still don't think it had hit me then," Brown said. "It still seems surreal." Faith Brown and her parents, Roger and Lindy, at their hotel in Red Bluff. With no family nearby, Brown and her parents are currently staying at the Hampton Inn & Suites in Red Bluff, which is 55 miles from Paradise. It was the nearest hotel that would also accept their two dogs and a cat. One of the first things they replaced from their destroyed home was a laptop. During the day, Brown continues to apply to colleges. She'd like to play volleyball for a Division II school next year. She also learned that she now needs to check a box that says, "homeless," on a federal grant she's applying for. "I'm homesick for something I can't go home to," Brown said. "If it was just our house that burned down then we could still go back to our favorite restaurants and stores and see the same people. There is no sense of normalcy now. I always said I wanted to get out of Paradise because I thought it was too small. If I could take it all back to have one more day, I would do it in a second." 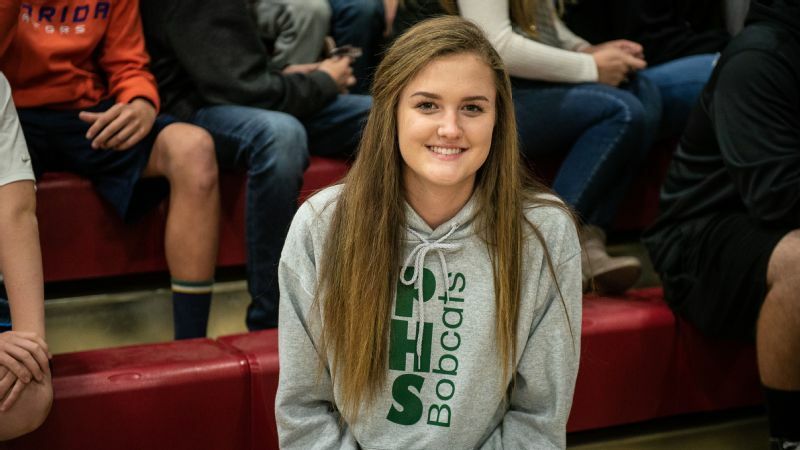 Rachael Warren, a senior volleyball player at Paradise High, dreams of playing for UC Santa Barbara. Rachael Warren is one of the five athletes (there are 200 overall) whose home wasn't destroyed by the fire. But her family can't return, since Paradise has been closed to residents now for three weeks. "Part of me feels guilty," Warren said. "I'm thankful I still have some possessions, and I guess it will be easier for me since I'm going off to college, but I still don't want to come home to a ghost town." Warren's family is currently living at a friend's second home in Yuba City -- 48 miles from Paradise. Being far away from all of her friends has been hard. "Our senior class really wants to stay together, but we are all over the place," said Warren, who is staying 90 minutes away from Brown, her best friend. They used to live 10 minutes apart. At 6-foot-1, Warren is a star on the volleyball team. She already has scholarship offers from the College of Idaho and Utah State University Eastern, but her dream is to play for UC Santa Barbara. Volleyball chops run in the family. Warren's father, Jon, was a pro beach volleyball player for seven years. At the moment, Warren is mostly concerned about how the fire will affect her family. She is the middle of five children and her father is the sole income earner. 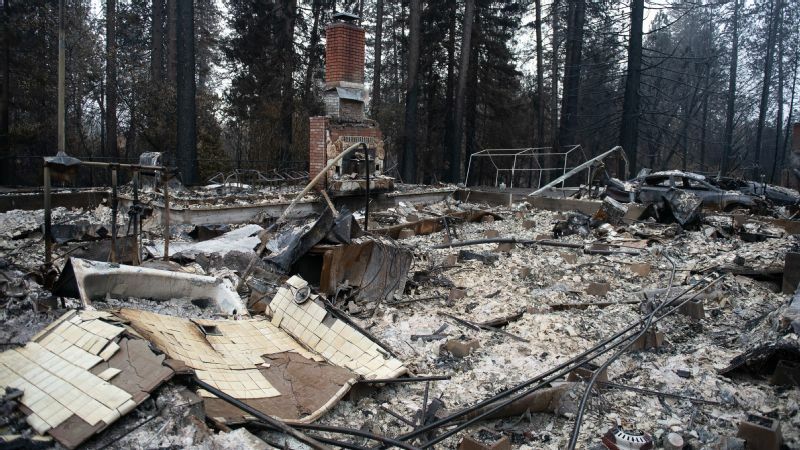 He estimates that 70 percent of his accounting clients lost their businesses and homes in the fire, so it'll be a struggle for him to keep his business afloat as well. 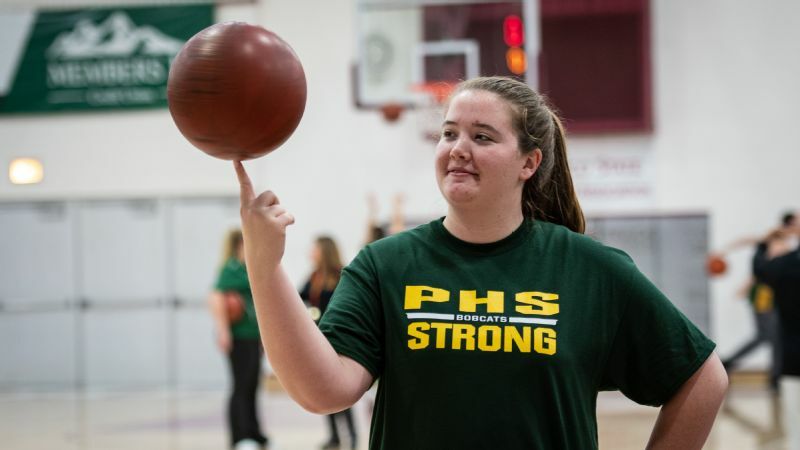 Fiona Roberts, a senior at Paradise High School, is grateful to be back playing basketball. 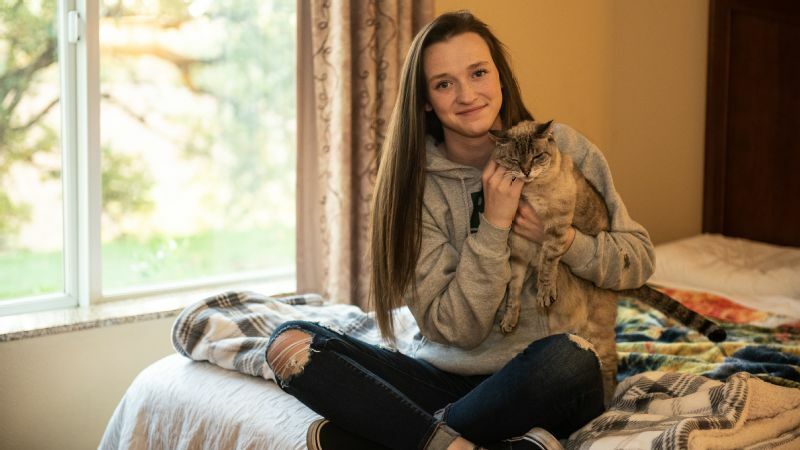 Fiona Roberts turned off her alarm and went back to bed on that Thursday morning because she wasn't feeling well and had called in sick to school. When news spread that the town was evacuating, Roberts' mother desperately tried to call her daughter, but her calls kept going to voicemail. Finally, her mom drove home and woke her up. As they left the house, the yard was already on fire. "We started driving through flames and I felt so helpless," Roberts said. "It looked like it was 9 p.m. at night, not the morning." As they sat stuck in traffic, propane tanks from homes and local businesses starting exploding around them. It was terrifying. Roberts played in the basketball game against Chico -- the first game since the fire -- on Nov. 26. "Being able to play basketball again felt so nice," she said. "It has helped create some normalcy. We have a good team, but a lot of girls have already started to move away." As of Monday, four varsity players from Paradise have enrolled in other schools because their families had to move. Roberts, whose parents are divorced, is now living in Chico with her mom's boyfriend. Both of her parents lost their homes. "I feel numb now, but at least we are all in the same boat." Anne Stearns with her kids and boxes of some of the donations that have been sent to Paradise. 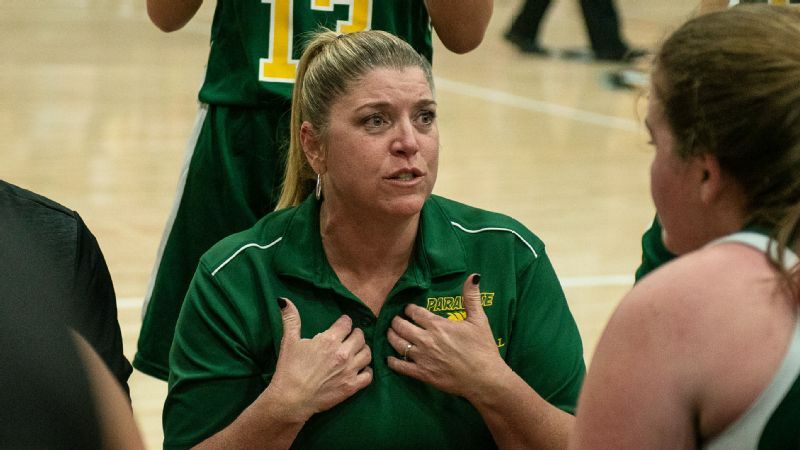 As the athletic director and a teacher at Paradise, Anne Stearns had taken part in active shooter drills, earthquake drills and regular fire drills, but none prepared her for what was going to happen on Nov. 8. Even when administrators canceled classes and moved all students into the cafeteria to call their parents, the direness of the situation didn't sink in. It was not until around 9:45 a.m., when Stearns went out to the transportation center to get a van, that it hit her. As she approached the building, she noticed it was on fire and, even more disturbing, the tires on the van had started to melt. "This was bad," she thought. "Really bad." Since the fire, Stearns, who lives in Chico, has been working around the clock. When Quiksilver donated 12 pallets of clothing and sporting equipment, Stearns arranged for it to be distributed. 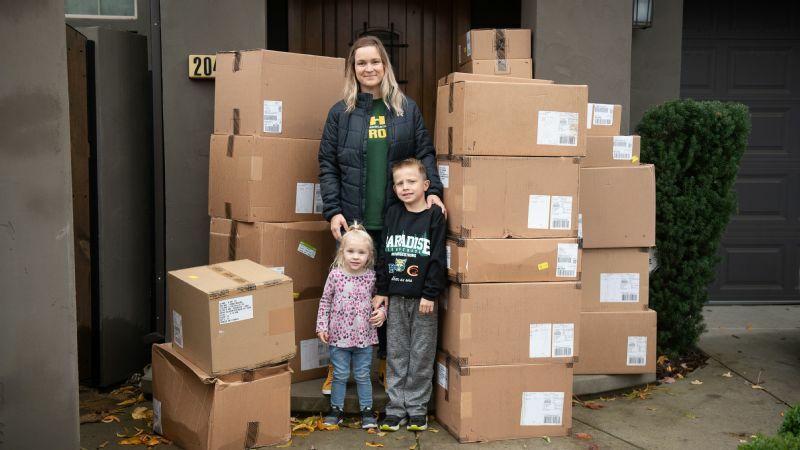 When 40 boxes from Under Amour showed up unexpectedly, she stored them in her garage and then got them to her school's teams. 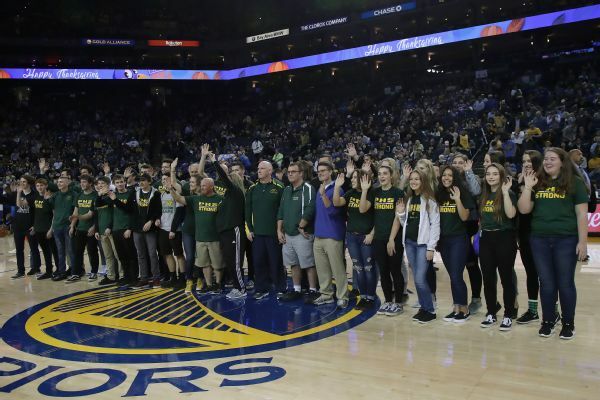 When the Golden State Warriors, San Francisco 49ers and Sacramento Kings invited Paradise students to recent games, Stearns tracked down her students (scattered all over Butte County) and made sure they could get on the bus to the games. And when teams need to practice, Stearns finds them gyms and fields and arranges schedules. "We want to start to create some kind of normalcy," she said. "If people can go to a basketball game or soccer practice, then they can feel safe and have community." Stearns is doing all of this despite the fact that the daycare for her 2-year-old daughter Davis burned to the ground, and her 6-year-old son Jackson's school just reopened on Monday. With the possibility of a reduced student body after the fire, Stearns worries about the future of her job. "I don't have that much seniority yet," she laments, "but I really, really love my job. It's the job I've always wanted." Sheila Craft coaches at the basketball game against Chico. 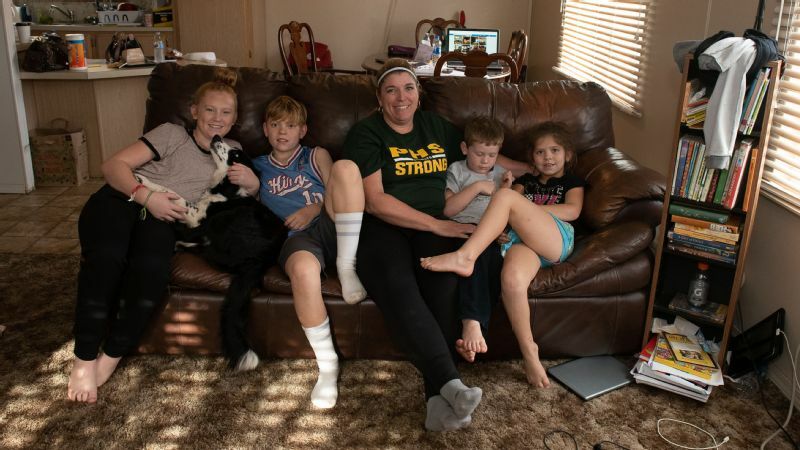 Sheila Craft had just dropped off her four kids at school -- Jaylah, 12; Gideon, 10; Aleecya, 7 and Malachi, 5 -- and was heading to her marketing job at the Cypress Meadows Post-Acute nursing home when she saw smoke in the distance. "I decided to go fire-hunting," she recalled, and drove five miles down Dean Road before seeing that the forest was engulfed in flames. Craft was used to fires in Paradise, but she knew immediately this was different. She called her husband, Jeremy, a foreman at a rock quarry, and her sister-in-law and told them to get the kids out of school so that she could go to the nursing home. "I didn't have to go to the nursing home," she said. "I could have evacuated, but that's not who I am." 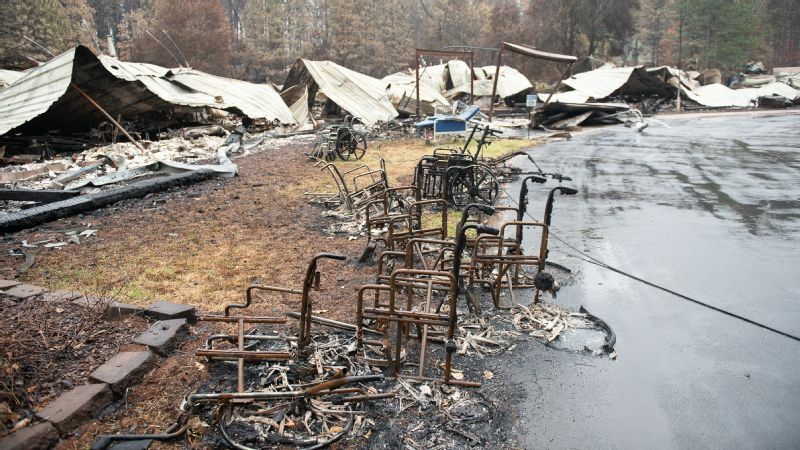 After the fire, dozens of burned wheelchairs lay scattered around the parking lot of what was the Cypress Meadows Post-Acute nursing home. Normally someone in corporate would have facilitated the evacuation process at Cypress, but, Craft said, "There was no time." Employees started packing up the belongings of the 91 residents and putting those patients in their personal cars. "I started calling neighboring facilities to find out how many beds they had," she said. "While I'm making those phone calls, my daughter is calling me telling me she is standing in front of the gym at the middle school and there is no one there to pick her up. I kept telling her someone was coming to get her and to just wait there. My sister-in-law jumped in her car trying to get the kids, but she never made it. Finally, my husband, who had raced home from work near Oroville, was able to get through from a different direction." It was pitch black and flames were surrounding the nursing home when Craft piled the last few residents into her Suburban. As she made her way out to Clark Road, she said, "There was fire on the left and fire on right. I thought I was going to melt in my car right next to all those other people. I thought, 'There is no way I'm getting out of here.' I called my husband and told him to tell the kids I loved them." Shelia did get out, and thanks to her heroic efforts and that of her co-workers, all 91 residents survived. Sheila Craft with her children in Oroville, California. In the fall of 2017, family friends had rented Craft their six-bedroom home for a modest $1,200. (It normally would have rented for around $2,400.) All of her kids had their own bedrooms, and Craft couldn't wait to host spaghetti dinners for her players, just like her own coach did when she played for Paradise back in the early 1990s. With the home now destroyed, she, Jeremy and the kids are staying at a friend's trailer in Oroville, 20 miles from Paradise. The kids share a single bedroom with one bed. Without an income from her job at Cypress, she doesn't know if they can afford to move to another house on her husband's salary alone. She is determined to stay nearby, though. "In my heart of hearts, I know we are going to stick around and help rebuild Paradise to make it a town," Craft said. "It will go back to its roots. I have so many people who think the same thing. We're not leaving. We grew up together and our kids are going to grow up together. "Houses can be houses and stuff is stuff, but the possibility of Paradise not being here and for me not to be the coach of the varsity basketball team is what breaks me," said Craft, who is the varsity coach for the first time this season. "I feel like basketball made me who I am and I want to be the person who is part of these girls' lives. We're going to rebuild Paradise around sports."